This project is developed as one of six pieces in an installation presented during Dutch Design Week 2017. 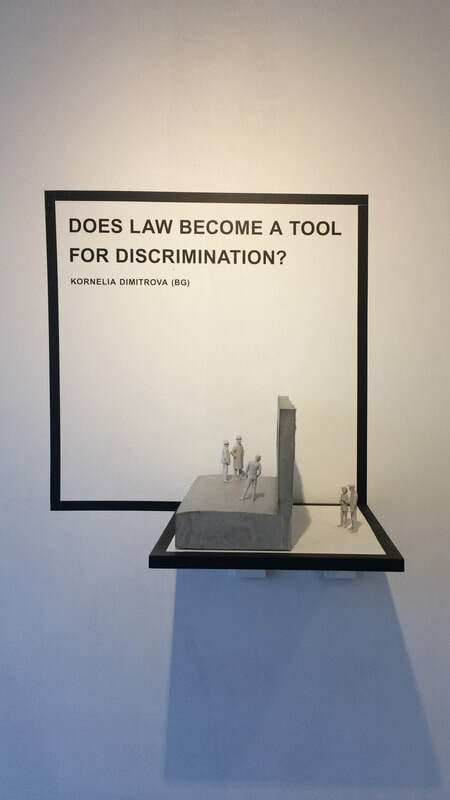 The installation is set up as the announcement of an upcoming collaboration between 7 designers and Human Rights Defenders, under the curatorial and editorial guidance of Studio Bernhard Lenger. This collaboration is formalised under the title We are Human Rights. Further information about it is available at the official homepage. 'Does law become a tool for discrimination?' is one of the 6 questions we asked during this DDW 2016. This art piece seeks to illustrate the frame of law via an architectural metaphor - the wall and the window.